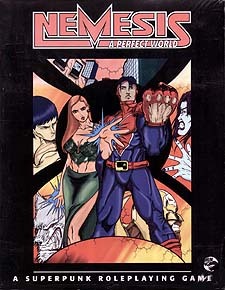 Nemesis: A Perfect World answers the age old question, "What would you do with superpowers?" Players create characters based on themselves. Blessed or cursed with fantastic powers and abilities, living in a realistic world full of deception; this time the fate of the world doesn't depend on strange visitors from other worlds, mutants, or dark detectives... it depends on you.